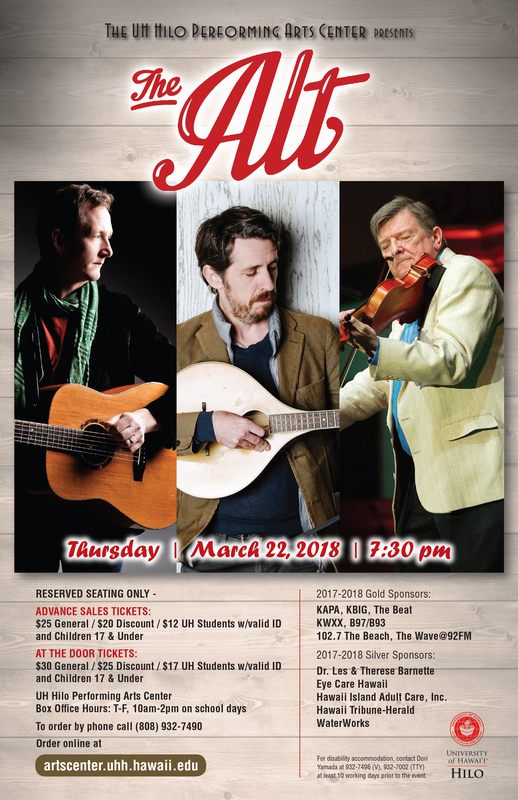 The sounds of Irish ballads and freshly discovered songs of the rich Irish tradition come to the University of Hawaiʻi at Hilo Performing Arts Center (PAC) when The Alt takes the stage on Thursday, March 22, at 7:30 p.m. 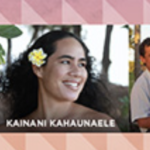 The Alt features the combined talents of renowned guitarist and songwriter John Doyle, Irish fiddle master Kevin Burke, and singer, guitarist and bouzouki player Eamon OʻLeary. The trio’s performances reflect their love for the traditional music that has been a touchstone of Irish identity for generations. “Each player is a leading light of today’s folk scene and though this could easily be called a super group, at its heart, The Alt is really a celebration of friendship and song,” said Performing Art Center Manager Lee Dombroski. As an added feature, “surprise boxes” are being offered for the first time at a PAC season event, where attendees purchase a box for $15 and receive a surprise gift, with proceeds supporting the Center’s educational programming. The “surprise boxes” have been featured annually at non-season events over the past two years. 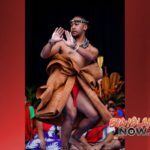 Tickets are reserved seating and priced at $25 General, $20 Discount and $12 UH Hilo/Hawaiʻi Community College students (with a valid student ID) and children, up to age 17, pre-sale, and $30, $25 and $17 at the door. 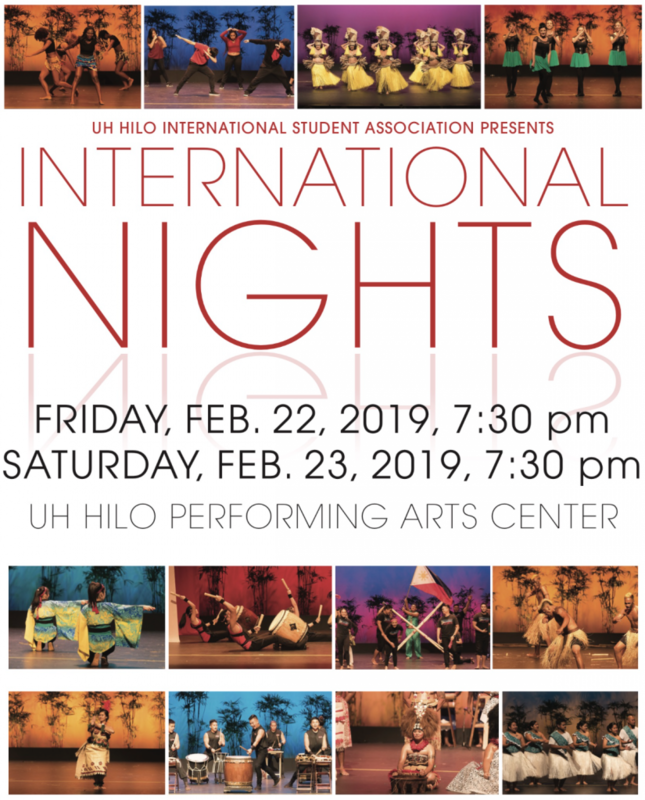 Tickets are available by calling the UH Hilo Box Office at 932-7490, Tuesday through Friday, 10 a.m. to 2 p.m., or ordering online.